Car detailing is all about making a car look its very best, and is more closely related to car restoration than valeting. As such we are committed to providing a very high standard of work without cutting corners, therefore timescales are quoted which allow plenty of time for us to ensure the correct methods are used. Our most popular services are listed below, however we are happy tailor any service to suit your requirements. To ensure we can work to the highest standard, all detailing work is undertaken from our immaculate and fully insured detailing studio based in Wishaw, with easy access from the M8 and M74 motorways. A £100 deposit will be required to secure a booking. The aim of this Detail is to deep clean and protect each exterior surface of your car, Over time road tar, iron deposits, and various airborne contaminants build up, however regular washing does not remove these contaminants, and if left untreated your paintwork will over time become dull and pitted, It is highly recommended that this treatment is carried out at least once a year (if the polymer sealant option is chosen), however it may be required every 3 - 6 months depending on the environment your car lives in and also the type of use it gets, This is carried out in the space of a day, several cleansing stages are carried out, including a 1 stage machine cleanse, which helps to mask minor swirl marks, and will also increase gloss and clarity of your paint finish, A protective polymer sealant is then applied, as well as protection for all of the exterior trim, and wheels, Well cared for used cars and new cars alike all benefit from this service. Choose from 4 different coatings to protect the finish. This treatment is suited mainly to newer cars, or older cars which have been very well cared for which have a number of light defects requiring removal, or just to breathe some life back into your cars appearance. it involves a thorough wash and decontamination process as outlined in our Protection Detail, with the addition of up to two stages of machine polishing, this treatment will remove light swirl marks, oxidation, and restore depth and clarity, leaving your car looking completely refreshed! Spot scratch removal can also be carried out at additional cost. Choose from 4 different coatings to protect the finish, each exterior surface, trim, chrome, wheels, glass etc is also treated as part of the detail. The Paintwork Correction Detail is aimed at discerning car owners looking for a flawless paint finish, or to restore badly damaged or neglected paintwork. This is a very involved detailing treatment requiring multiple stages of precision machine polishing to leave your paintwork free of swirl marks, holograms, scratches, etchings and oxidation, which once complete will reflect light perfectly! Please don't confuse this treatment with other cheaper paintwork correction offerings! With our paintwork correction the defects are properly removed instead of being masked, great care is also taken each step of the way, with the paint depth being carefully monitored throughout the process! This is a labour intensive process which requires skill and experience to carry out safely, therefore the time required to work on your car and cost depends on the condition of your paintwork, Once complete your car will look better than the day it left the factory, with an unrivaled level of gloss and clarity! Our New Car Detail will prepare your car to a far higher standard than what the dealer can offer (on average a dealer has around an hour to prepare a new car!) Our process fully removes all harmful contamination, especially rail dust which builds up during transport, followed by a minimum of a single stage machine polish to optimise the depth and clarity, resulting in a blemish free finish, This also creates the perfect finish for our hard wearing Gyeon Quartz paint coatings to bond to, These coatings protect against etchings from bird droppings, industrial fallout, tree sap etc, The coatings also leave a very slick hydrophobic surface, preventing dirt from clinging resulting in a self cleaning effect, which means your car will remain cleaner for longer, This slick surface will also prevent swirl marks from being inflicted. To give your new car the best start in life it is highly recommended that this treatment is carried out as soon as your car is ready to hit the road, This is a very popular service, so contact us well in advance of your new car arriving to secure a booking! There are three different Gyeon coatings to choose from with our 2 year MOHS coating being the most popular, An interior detail as well as each exterior surface, trim, chrome, wheels, glass etc is also included as part of the detail. The wheels can be fully removed to apply the coating to the inside at additional cost. 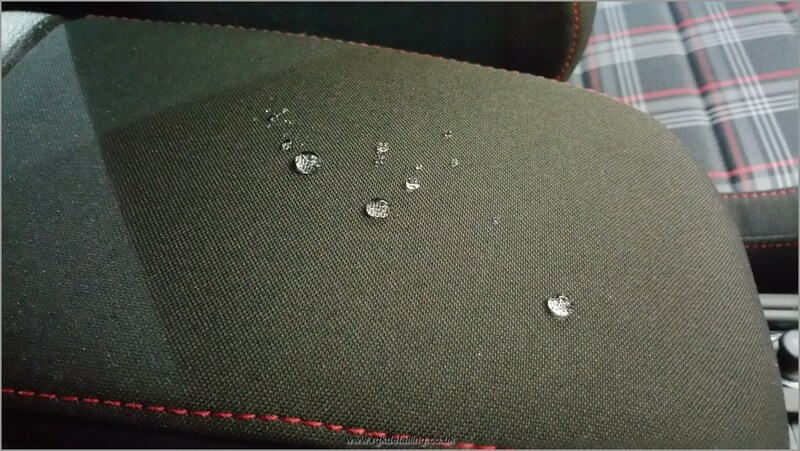 The Interior Detail serves to thoroughly refresh and protect the delicate surfaces inside your car, over time dirt, dust and grease builds up, and can become ingrained in many of the surfaces, especially leather and fabric, even if the interior appears to look clean, I have all the tools and products ready to hand to return your cars interior to as new condition.